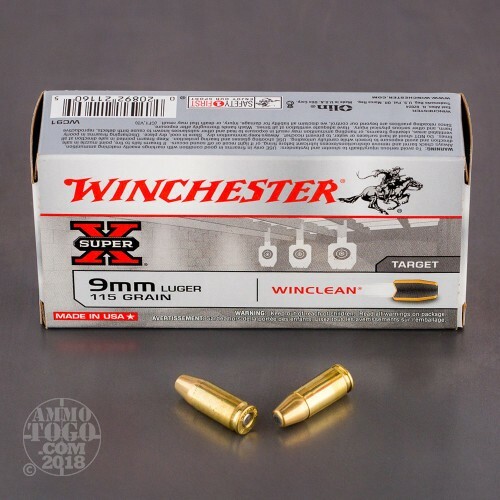 Winchester’s WinCLean line of ammunition provides for safer shooting at indoor ranges by eliminating airborne lead exposure at the firing point. 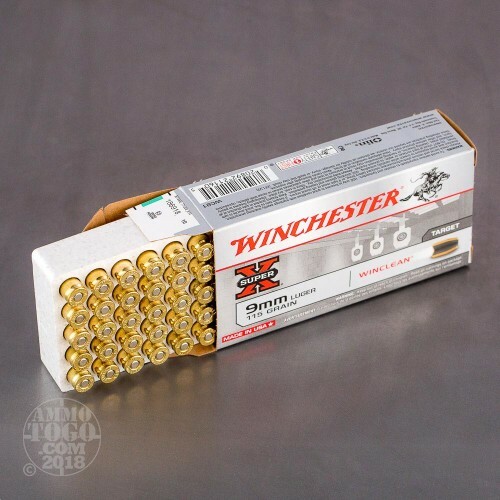 These loads also feature a patented lead- and heavy metal-free primer and a unique bullet with a brass-enclosed base to prevent lead vaporization. The result is a new industry standard for clean shooting that produces less smoke and less barrel residue. 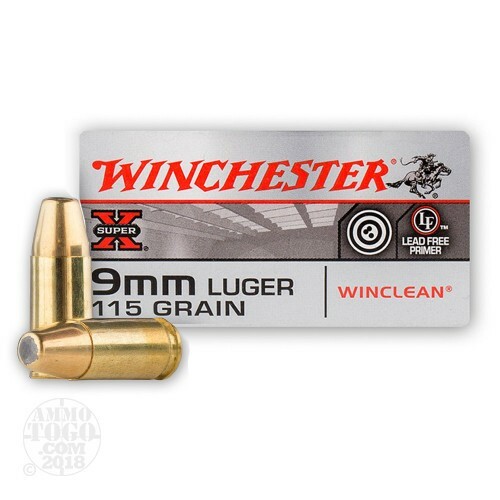 This package contains 50 rounds of Winchester WinCLean 9mm luger (also known as 9x19 parabellum) ammunition. 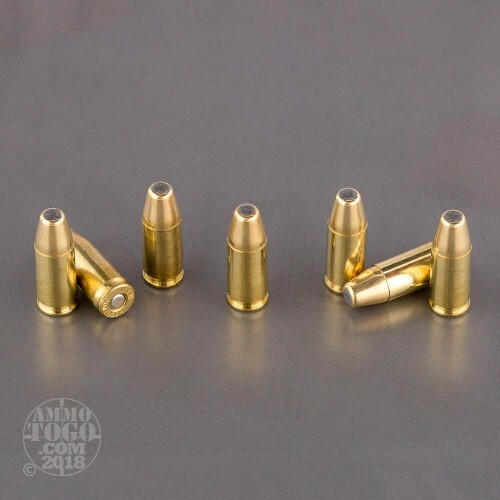 Each cartridge is loaded with a 115 grain projectile with a brass enclosed base. 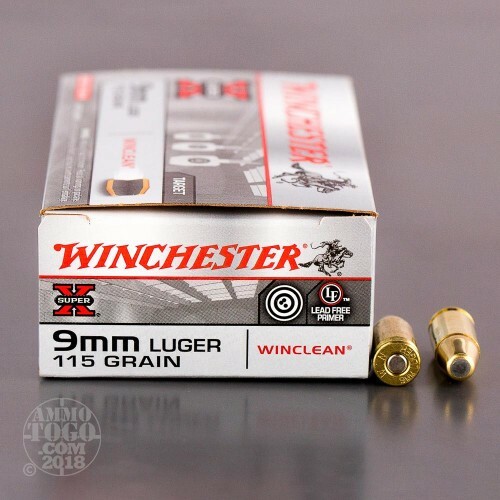 Delivering minimal expansion and clean shooting, these loads are ideal for target shooting, even at indoor ranges. Each round delivers a consistent muzzle velocity of 1190 feet per second and a muzzle energy of 362 foot pounds.